I'm using Ubuntu 17.10. I installed Arc theme with apt install arc-theme. But if I use it calendar, and other drop-downs from Top Bar have wrong color. Can I change color to match the other apps? Is there an extension which can make it better looking? It seems you have changed the application theme to Arc, but not the shell theme. 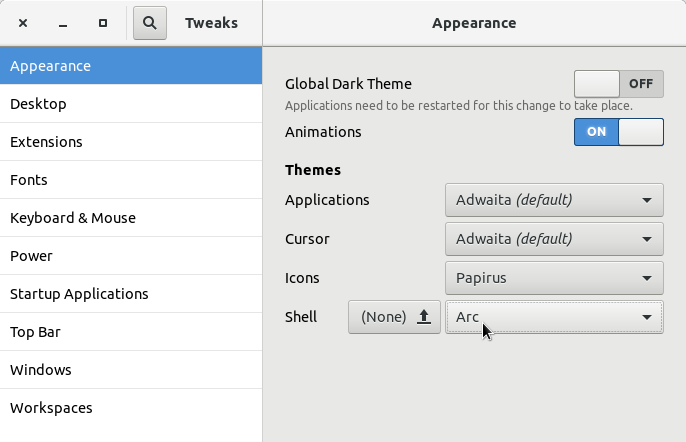 Open Tweaks and choose Arc as the shell theme in the Appearance section. Not the answer you're looking for? Browse other questions tagged themes gnome-shell or ask your own question. 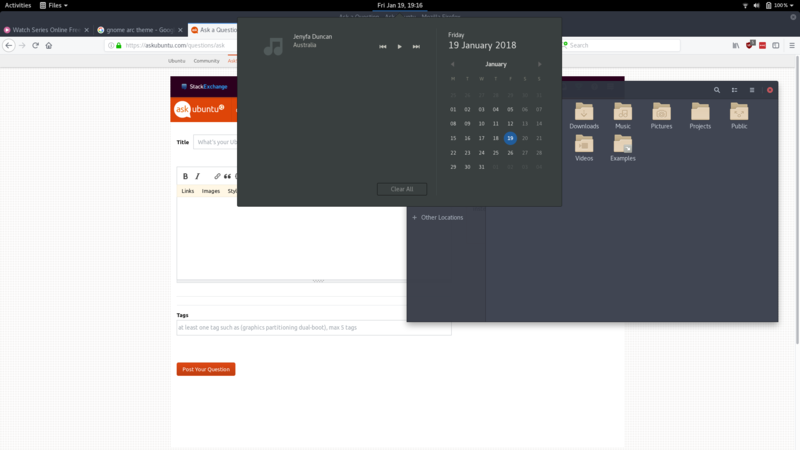 How to get Mac style title bar buttons on Ubuntu gnome without changing rest of the theme? How to modify a theme (macbuntu)?